SKINS Derma Care has a brand new superstar: The Limelight Treatment! Limelight is a non-invasive face treatment designed address pigmentation in the skin as well as redness. The Limelight treatment course will give you a more improved skin tone and smooth surface imperfections including those caused by photo damage and aging. 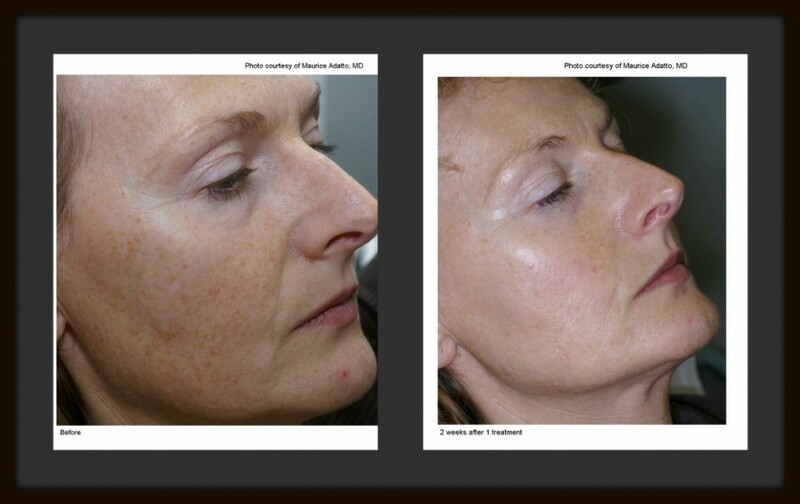 This treatment can be used on any area of the face with skin redness, telangiectasia or brown spots. Limelight can be customized to selectively treat the brown and red pigmented areas only without over-heating the rest of your skin. A gel is applied to the skin prior to treatment to cool it before the procedure. Your therapist will then activate the hand piece and begin the procedure. A pulse of light is delivered to heat only the red or brown pigment and leave the rest of the skin alone. This may cause a mild pinching sensation on the skin, but the treatment as a whole is not designed to be painful. Generally patients need between 3-4 treatments with Limelight. Visit the SKINS Derma Care Website for more information. You can also call or stop by SKINS Derma Care to speak one on one with a therapist to determine if you are a candidate for Limelight. Take advantage of our promotion! We are offering 25% off a package of 4 limelight treatments!